Joe began playing rugby at the age of just six when his father took him down to Lichfield rugby club, here he played as a boy until the age of 16. He then joined Leicester Tigers where he was part of their academy system, and managed to make a couple of appearances for their first XV. At the age of 20 he made the move across the East Midlands to Nottingham. The initial move saw Joe combine his rugby career whilst studying economics at Nottingham Trent University. Since graduating he has spent the last few years enjoying his rugby whilst coaching the Nottingham Rugby Academy too. We are sock, underwear and lounge wear specialists that have a passion for great product design & a reputation for taking trends, along with the latest technologies and developing product portfolio’s to match a brand or retailer’s core customer base. 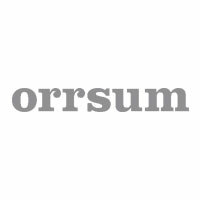 Orrsum was established in 1998 and now 18 years on, we are a global supplier within the hosiery, underwear and lounge wear markets. During our expansion we have retained many long-term partnerships with well-known brands & major retailers; providing invaluable insight & understanding of the market.